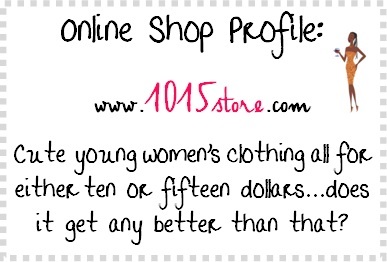 Before the holidays, I received a shipment from 1015store, an online shop that has tons of clothing for young women. Oh, and did I mention that all of it is for only $10 or $15?? It is so fun to browse this site for clothes, because there are no surprises when it comes to price. It's a simple and affordable online shopping experience and there are options for all types of styles and sizes (they also have a plus size section!). I have to say, this is my absolute favorite shirt from the site. I have this shirt, and the first time I wore it, I received tons of compliments. It is classy, flirty, fun, and comfortable. The lace detailing on the back gives this regular shirt a fun and pretty accent. This is your typical basic tank with a fun flare. The fabric is extremely comfortable and I love the color and the accents on the sleeves. It's perfect for a night out or a casual day! This is a blazer with a perfect feminine touch. It comes in all different colors, and its lightweight feel is perfect for any occasion. What's your favorite look on www.1015store.com? what currency is it based on and is the shipping free worldwide? Nicole, you definitely do not want to shop online from this place. They do not allow ANY returns OR exchanges. 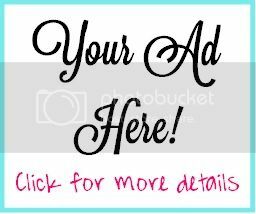 Do not shop on this website!!!!!!!! It is not made clear anywhere on the site that ALL sales are final no matter what. They do not even let you exchange items, but yet they claim their priority is customer satisfaction. How is that the case? A customer is satisfied when they get something that looks good and they appreciate. What I got was the complete opposite. The garments look nice on the models but they do not look the same when you get them. When I emailed them about their "no return" policy, I got a reply email that was simply a copy and paste of the return policy followed by "I hope I was able to help." I feel like this is somewhat of a shady business because you are not aware that all sales are final until it is too late.